Log Lodge is located on Highway 89, at the corner of Gray Avenue. It's exterior was used as a backdrop town building in the 1930s film Rose Marie, with Jeanette McDonald and Nelson Eddy. The interior was used in the same film as the mountain cabin where James Stewart was arrested. Surrounding property was used as a studio encampment platform for tents and a dance floor for which local bands were hired as entertainment for the filmmakers. Later in the 1960 Olympics, the property was leased for bleachers and was the turn around point for the cross country ski events. Many of the small cabins around the area were built to house Olympic spectators and participants. The lodgepole pine cabin's current owner has a great passion for restoring historic and unusual buildings. When he took over the cabin in 1986, it was a basic shell, with dirt floors and no windows. He procurred a permit to make it a habitable space and began transforming it to the magnificient work it is today. In addition to its kings truss cathedral ceiling and slate fireplace, the owner has added to the cabin's charm by decorating it with period antiques, collected from all over the states. The cabin is available to rent for vacations. Another vintage cabin, is part of the Norfolk Woods Inn. In the 1920s, Aimee Semple McPherson, evangelist for the Four Square Gospel Church, made plans to buy 60 Tahoe Cedars lots to be used as a campground for members of her Angelus Temple. Devout followers often awaited her arrival at what is now the Marie Sluchak Community Park. She arrived in flowing white robes accompanied by a 39-piece band causing a combination of hysteria and true evangelistic spirit. When she was in the area, Aimee apparently stayed at the cabin. Her plan did not go through, and she was forced to resell the property back to its original owner, who opened sales to the mass public. 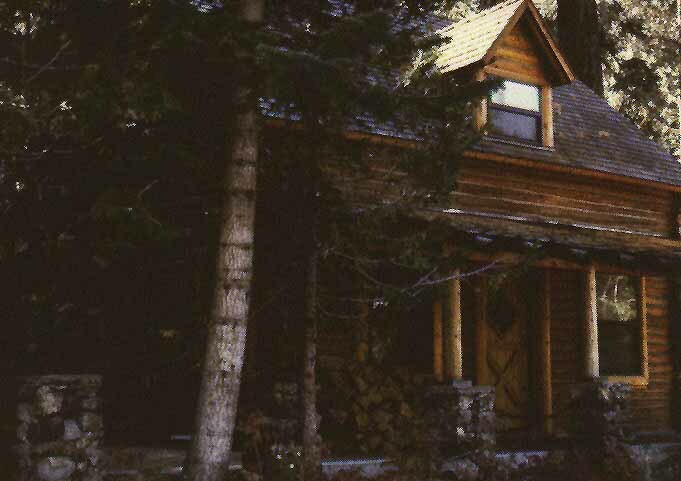 Located in Sugar Pine Point State Park, on the Ehrman Mansion side, is the cabin of Colonel Phipps, one of the first known permanent residents of Lake Tahoe who settled on the point in 1860. In the 1870s, the area was being heavily logged, and Phipps was fairly successful at keeping his forest from the saw. In 1888, Phipps sold his property to WW. "Billy" Lapham who opened the Bellevue Resort, which burned down only 5 years later. In 1897, the property was sold to Isias W. Hellman, a San Francisco financier. In 1901, a large mansion was built for a summer retreat.Mr. Hellman's daughter, Florence Ehrman, inherited the estate in 1920, and her daughter, Esther Lazard, sold it to the State in 1965.